Description: The ravine salamander is a thin, elongate salamander with short legs. The back is usually dark brown to black with a variable amount of silver-white or brassy flecking. The underside is uniformly dark except for some light flecking on the throat. 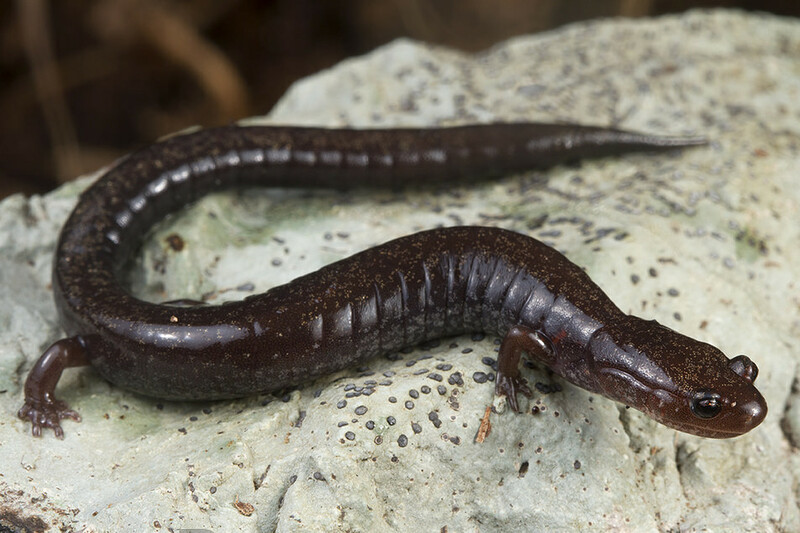 Habitat/Range: The ravine salamander is found only in the extreme northwestern corner of North Carolina but may be locally abundant in suitable habitat. These salamanders are typically found on the wooded slopes of ravines and hillsides at relatively high elevations. They also tend to be associated with rocky habitats and seem to prefer rocky cover even when other cover objects are available. These salamanders are active on the ground during the spring and fall. 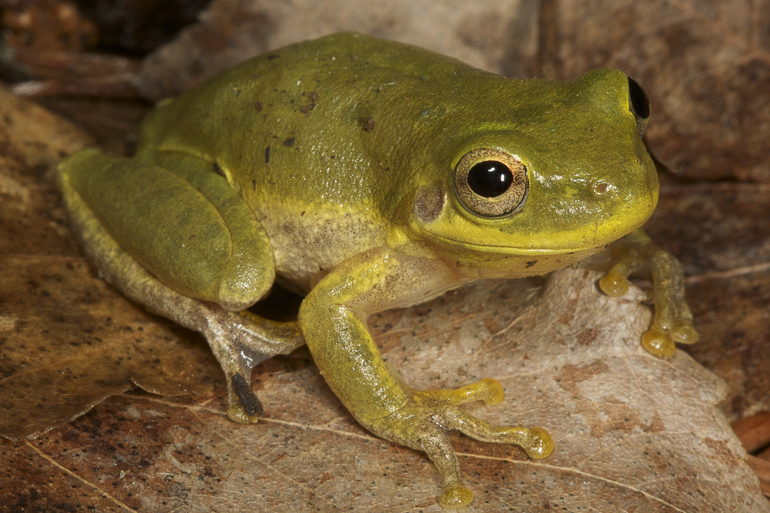 During the summer and winter they retire to underground retreats and are difficult to locate, even where they are abundant. 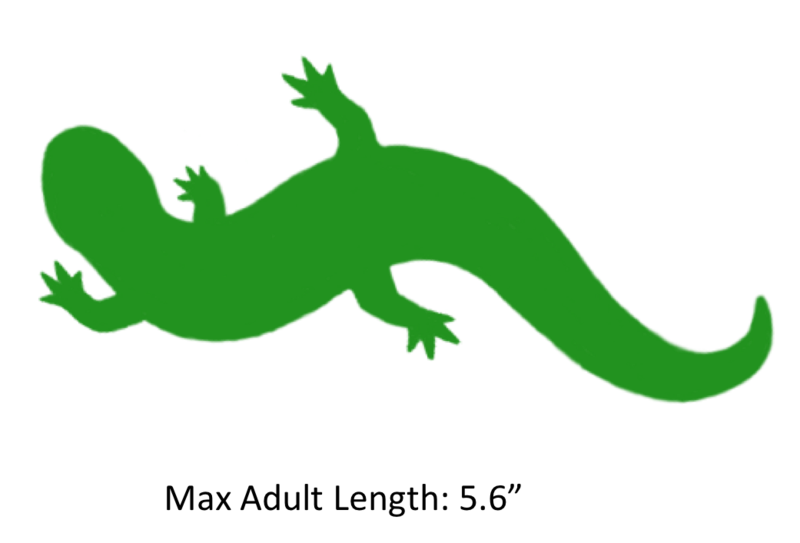 Diet: These salamanders feed primarily on a wide variety of invertebrates. 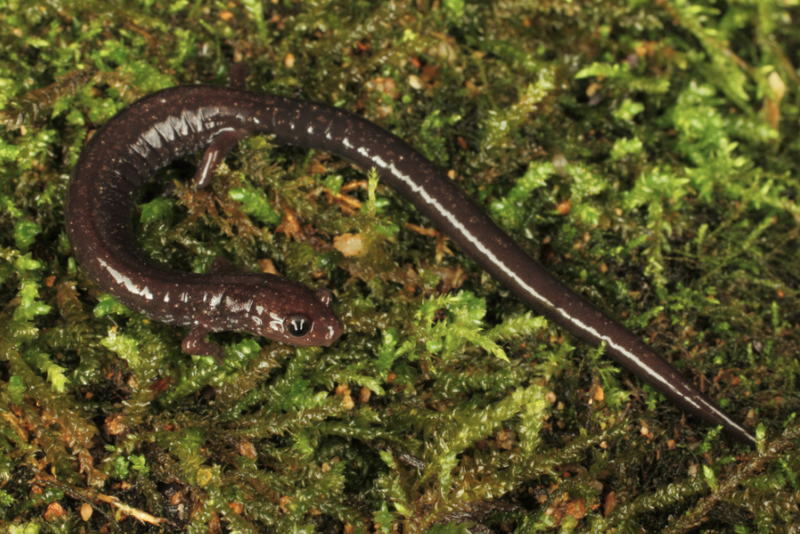 Reproduction: Ravine salamanders are thought to lay their eggs deep in underground retreats. Females of most closely-related species will guard their eggs until hatching and it is thought that female ravine salamanders probably do the same. Hatchlings do not go through an aquatic larval stage. Instead, when young salamanders emerge from their eggs they look like miniature adults. 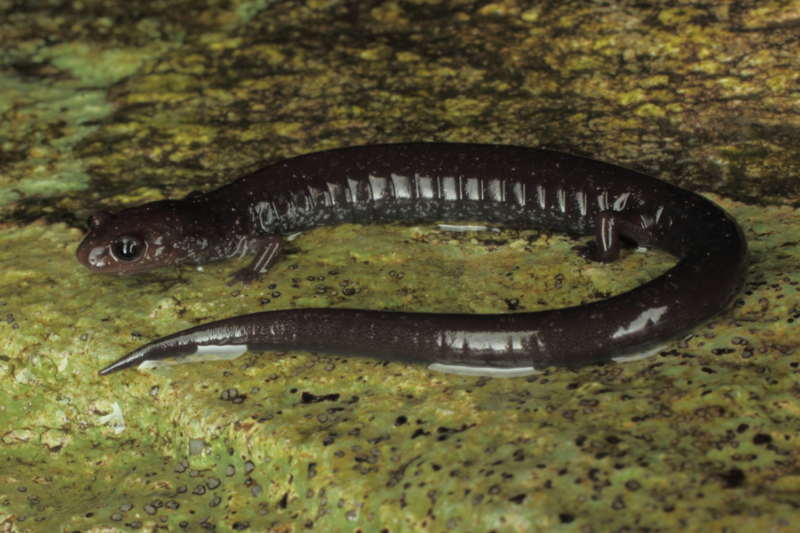 Miscellaneous: Ravine salamanders are known to use their large tails as fat storage organs. They will survive on these fat stores during the hot summer months when they retire to underground retreats. The shaded region represents the range of the Ravine Salamander in North Carolina.